A zigzag seam finish is simply zigzag stitching applied to the raw edge of a seam allowance on a seam that you sew. A sewn seam is not complete until you apply a seam finish to prevent the seam from becoming weak due to the fabric fraying. A zigzag seam finish can be used on almost any seam to enclose the raw edge and prevent fraying if you have the option of sewing a zigzag stitch with your sewing machine. Vary the stitch width and stitch length to prevent extra bulk that may prevent the seam from laying neatly or may cause extra bulk that would show through to the correct side of the seam when it is pressed. The goal of the zigzag stitching is to enclose the threads of the fabric and prevent those threads from fraying away from the fabric. Adjusting the stitch width and stitch length allows you to control how much of the threads are enclosed and how much bulk the zigzag seam finish is creating. The larger the threads or fibers are that make up the fabric, the larger you will want your stitch length and stitch width. For example, think of the heavy fibers that make up burlap or canvas fabric, in comparison to a quilting cotton fabric. 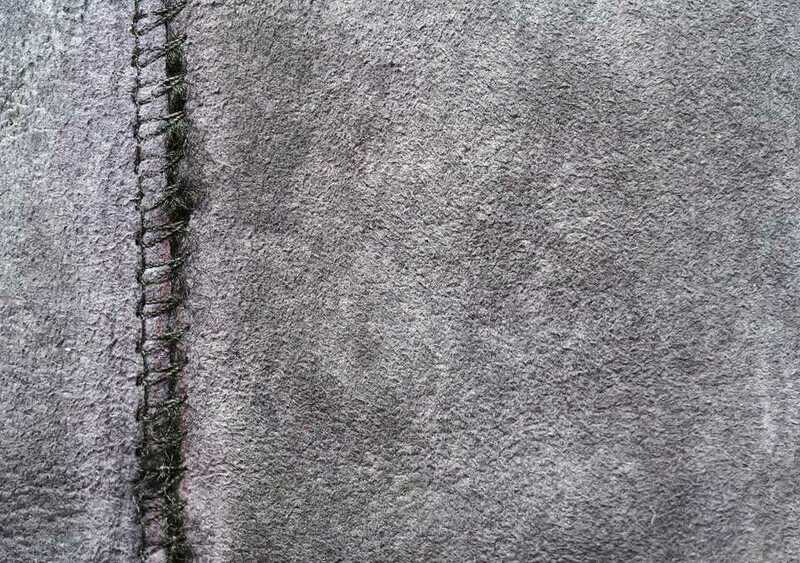 In order to enclose a good amount of the fibers that make up the burlap fabric, you will need a wide and long stitch. However, a very fine cotton what is made up of fine fibers will not require that wide and long stitch in order to encapsulate the threads making up the fine cotton fiber. Your seam finish should not be any more visible than the actual seam, from the outside of the garment. Always choose the type of seam finish you will use for the type of fabric and the visibility of the seam through the fabric. A very sheer fabric may be better sewing with a French Seam and when a very strong seam is desirable on a heavy fabric, a flat felled seam may be the best choice. Sew the seam, using the seam allowance that is called for in your pattern directions. Set your sewing machine to a zigzag stitch and test the stitch on a scrap of fabric, sewing the edge of the scrap just as you will on the seam allowance. Sew the stitch so that the right side of the stitch goes "just" off the edge of the fabric, enclosing the threads of the fabric. Set a seam guide to watch so that you can sew straight. If you are watching the sewing machine needle, it is almost impossible to sew straight, especially when you are sewing a zigzag stitch with the needle moving right and left while creating the zigzag stitch. If the seam is pressed to one side, treat the seam allowance as one piece. If the seam allowance is pressed open, treat each part of the seam allowance separately. Press the seam again once you have finished sewing the seam finish. Seams Hold It All Together! Count on Your Seams by Sewing Them Correctly!